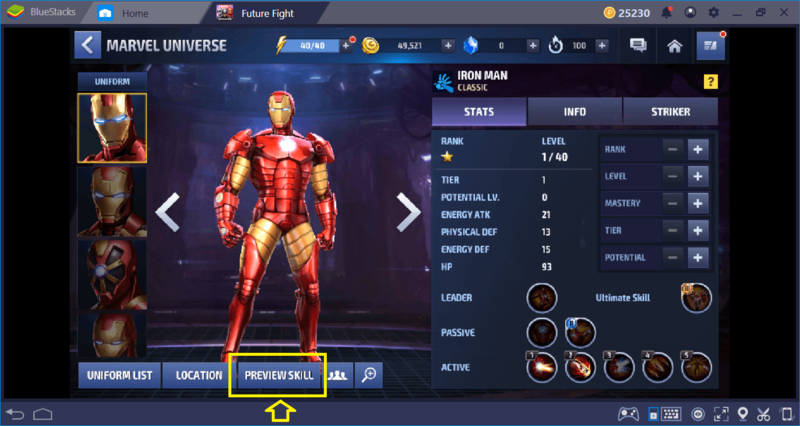 Team setups are the most important thing in Marvel Future Fight, as we explained in another guide. However, until you build the perfect team, you still need to recruit heroes individually, and some of these heroes are better than others, especially for beginners. 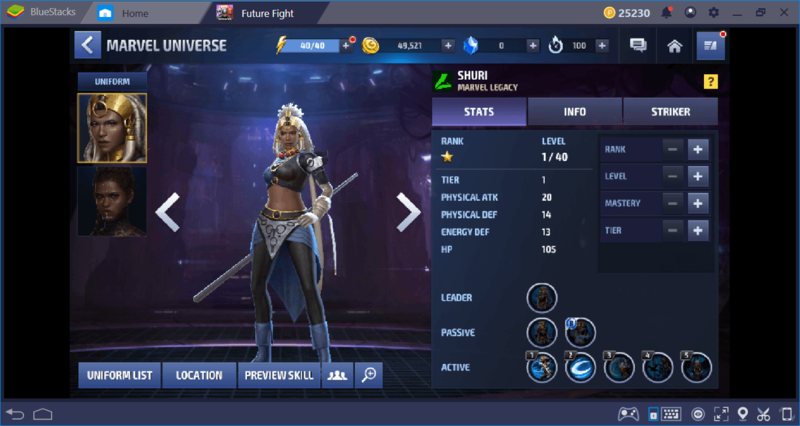 In this article, we will focus on best characters to start playing Marvel Future Fight in the light of the latest hero additions and try to guide you in your adventure. Note that these recommendations will be based on our personal experience and common sense of the player base: They are not “fixed” heroes and you can form up your own team too. 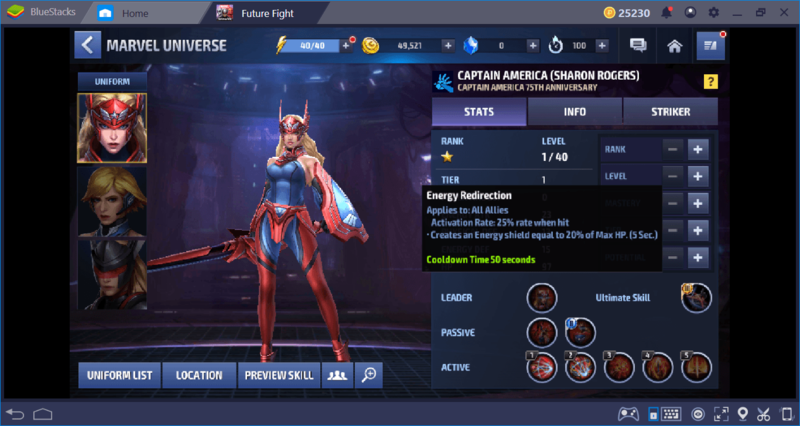 In fact, we highly advise you to do so: There are literally dozens of heroes to collect in MARVEL Future Fight and you should aim to create your own “best of” list after trying them all. Before we start, here is a quick reminder: You can try all of the heroes in the game and see their special abilities in action even if they are not unlocked. To do so, click on the portrait of any hero and then, click on the “preview skill” button in the profile page. A “battle simulator” will be launched and you will be able to use their skills against real enemies. We think that the best support hero will be Shuri for beginners. She belongs to the “speed” affinity and provides lots of useful bonuses to the party. 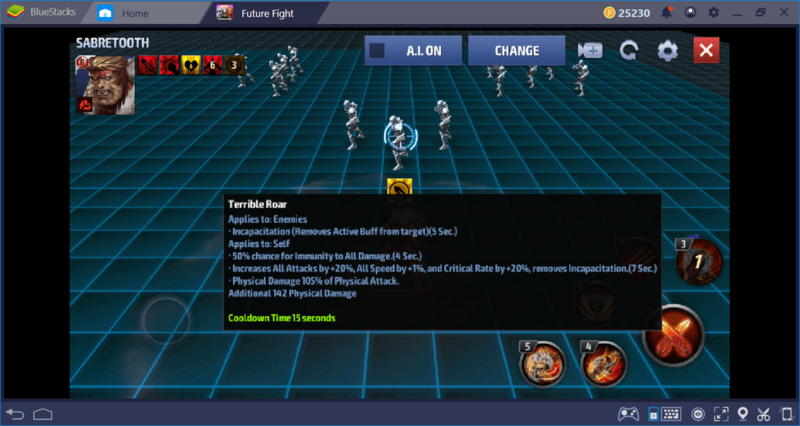 In fact, Shuri is a “buff machine”: She will increase your attack power, dodge rate, defense points, and max HP. With the correct team setups, she can also increase your ignore defense rate, which will result in a flat DPS increase. Plus, she can put debuffs on enemies and stun them, for example. In other words, she is a crowd control machine too. 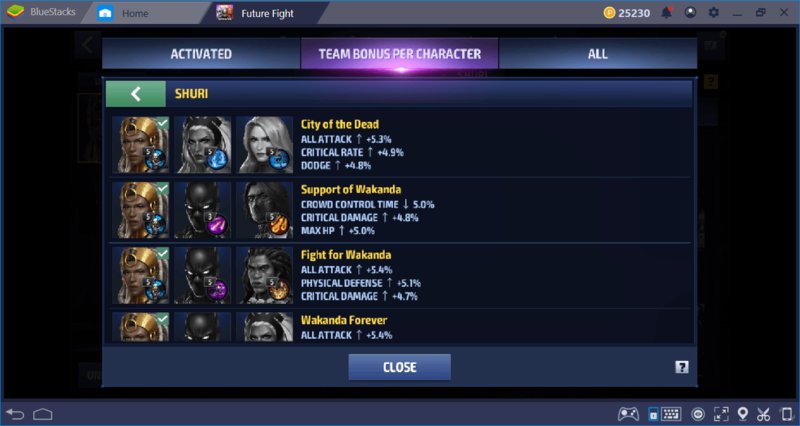 You can put Shuri on your team right from the beginning. Selecting which hero will be the leader of your team is important because he/she will provide the main party buffs. There are lots of options in this category but we will go with Captain America, the Sharon Rogers edition. 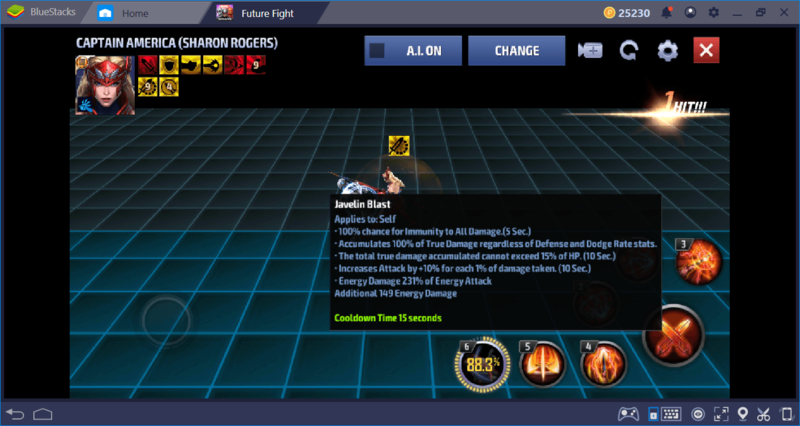 She is one of the recent additions to the game and can create an energy shield equal to 20% of max HP. Plus, she is available to join your team right from the start. 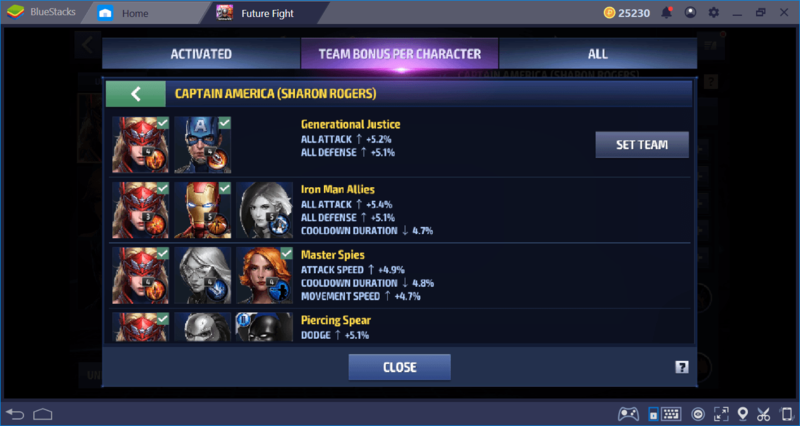 She also offers lots of attack and defense bonuses, so as expected, Sharon Rogers is a natural leader. She can become immune to all damage for 5 seconds too, which is pretty useful against boss enemies. 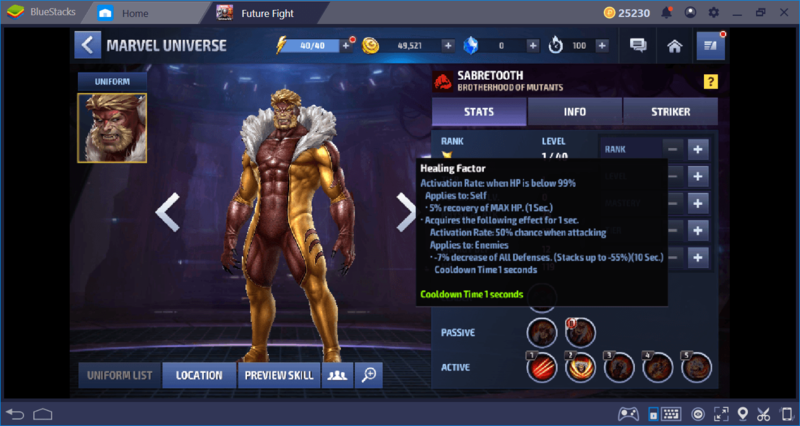 Again, there are dozens of options in this category but we will recommend selecting Sabretooth for the following reasons: First, his passives are literally amazing – he can recover 5% of max HP constantly, decrease defense of all enemies, and increases critical damage by 25%. Plus, his active attacks are DoT (damage over time) based, which bleeds the enemies and make them suffer for a long time. If these are not enough, he can become immune to all damage for 4 seconds and increase attack power by 20% in the meantime. 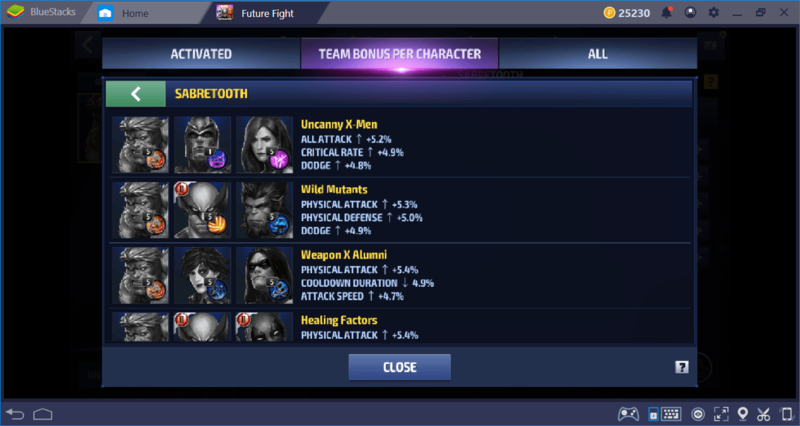 So yeah, Sabretooth is literally a damage machine. 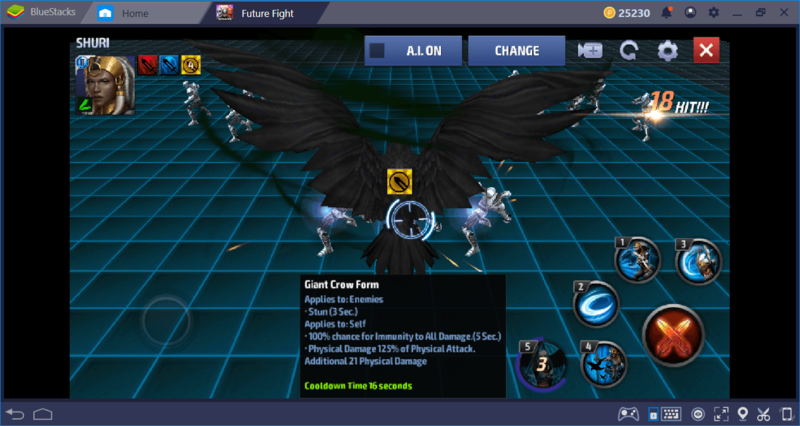 He is one of the new heroes in Marvel Future Fight and you need him on your team. 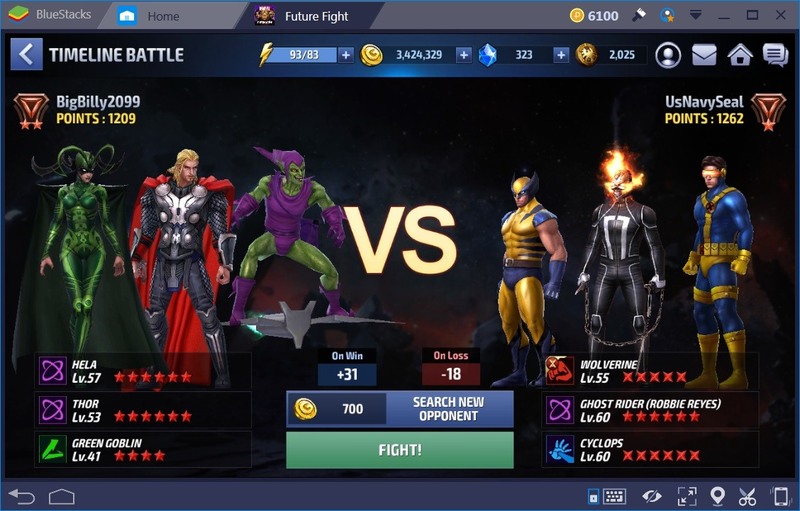 Again, Marvel Future Fight is about team building and selecting single “best” heroes, but you still need a team to start the game and we think that these will be the best options. If you have other suggestions and ideas, let us know via the comments – we love to hear from you. 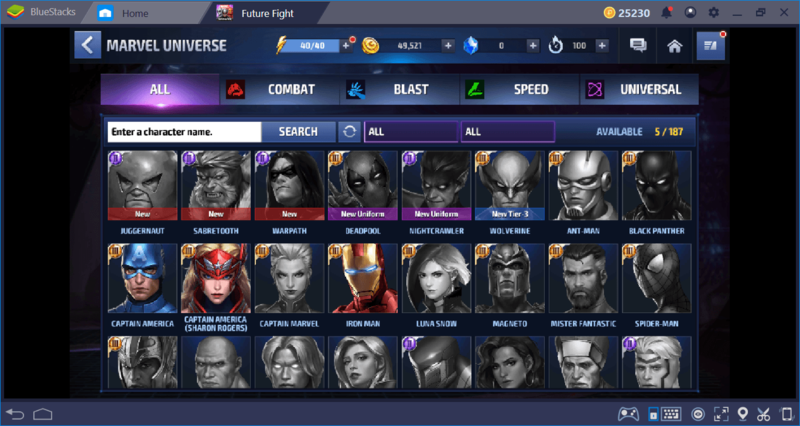 Don’t forget to take a look at our other Marvel Future Fight guides too, we cover all aspects of this game. Now go create that team and beat the baddies: This world needs saving once again!